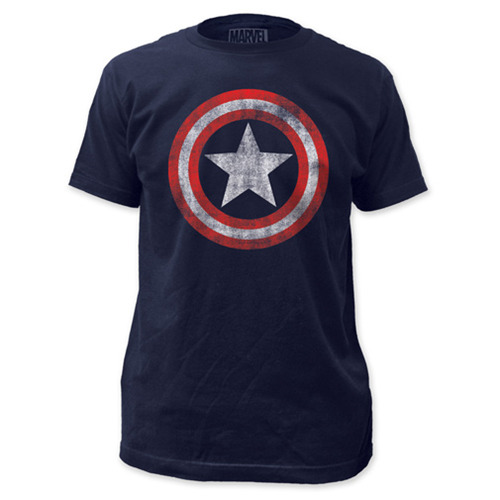 High-quality T-shirt features the one-and-only Captain America. Get your Captain America Distressed Shield T-Shirt and wear your favorite comic! Features a distressed shield image on a navy, 100% cotton men's T-shirt. Machine washable. Order yours today!